As noted in my Philosophy of Wine entry, I drink wine almost every day with dinner. Dorianne and I drink 3 or 4 reds to every white or rosé, except in summer, when that ratio tends to be reversed. I put reds into three basic categories – everyday, special dinner, and very special occasion. Everyday wines would run about $20 and under, special dinner from $20 to $50, and very special occasion from $50 and up. A bottle with a great story or one that is hard to obtain may put it up a category or two even though the price point is lower. Sharing some Wine with Friends. 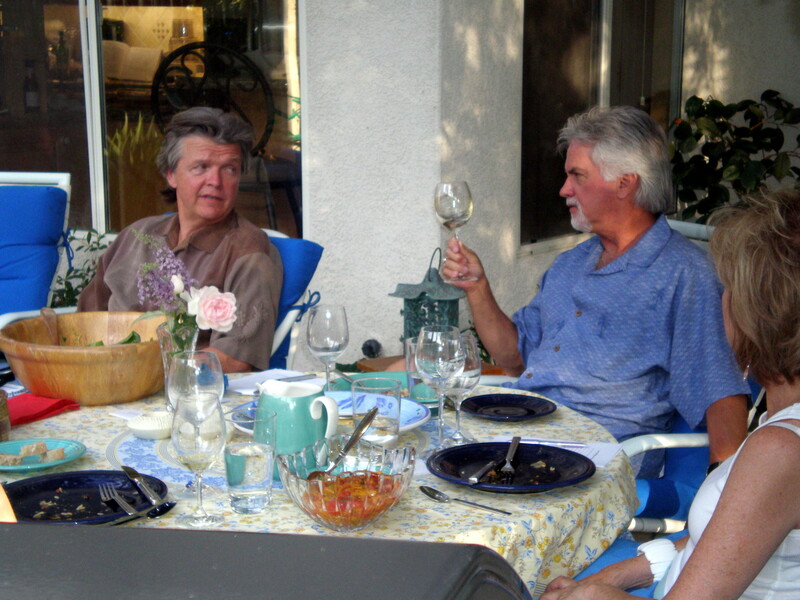 Everyday wines are the mainstay of our consumption. These are generally wines that we buy from local retailers or online at sites like WTSO.com. Occasionally, they come from a winery. We also have our wine co-op wines that fall into the everyday category. We get about 8 cases from our co-op share each year, 6 of red and 2 of white. I will not include the co-op wines in these reviews, because you cannot obtain them. We had a 2010 Petit Syrah/Cabernet Sauvignon on Monday night from the co-op. So how do you choose your favorite everyday wines? I would begin with trial and error then move out from there based on a certain level of awareness that develops as to what to look for – certain varietals, wine makers, and price points. The trial and error comes first – you sample some wines. This can happen by purchasing at a retailer, or you can be a bit more creative. When you are invited to a party, if they have lower priced wines, try some. See if you find any that you like and note the brand and varietal. In a restaurant, especially some chain restaurants, they will have inexpensive wines (at a markup no doubt) that you can try. Many wines under $15 is that they will stay very constant from year to year, so you are less likely to be surprised by a new vintage. I like a variety of wines, so when I look for everyday wines, I am looking at a broad spectrum of wines, both domestic and international. You may be a Merlot or a Cabernet Sauvignon drinker, which narrows the field quite a bit. I like some variety and some signs of craftsmanship, even in my everyday wines. If you look around, you can find wines under $15, and definitely under $20 that have this quality. Here, you will find some variation from vintage to vintage, but that adds to the variety! So let me start with two red wines that have, for me, been very reliable over time. They are under $15, both are imported, and each has a bit more to offer than the standard-brand or bulk wine product. The vintage will be whatever is currently available – it is unlikely that wine merchants are holding these for aging. A Good One from Australia. 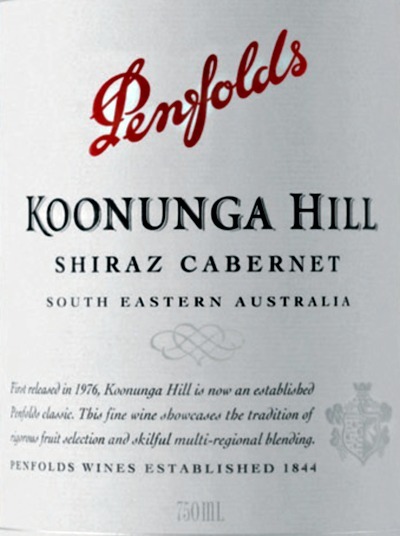 Penfolds Koonunga Hill Shiraz/Cabernet: I began drinking this wine in 2003. Penfolds is the flagship wine brand of Australia, makers of the legendary Penfolds Grange (which is near the very top of my bucket list) Shiraz wine. The Koonunga Hill label is second from the bottom in the Penfolds hierarchy – above the very pedestrian Rawson’s Retreat label. I have tried the Koonunga Hill Shiraz and the Cabernet as separate varietals, and find that the blending of these two grapes creates the most satisfying experience. The 2011 vintage is the most likely on to be on your retailer’s shelf. It is a 62% Shiraz 38% Cabernet blend (this will vary from year to year) and is 13.5% alcohol, which I prefer to the heavier levels of alcohol in may California everyday wines, which are usually just hot and not very well balanced. The Koonunga Hill Shiraz Cabernet is great with red meat and will hold up to BBQ sauces and spiced foods as well. The wine will age for 8 to 10 years, but this wine is not made to age, so drink it right from the shelf. From Chateau LaFite Rothschild in Chile. Los Vascos Cabernet Sauvignon: I came across Los Vascos when I was living in South Florida and it came with a great story. A friend was the supervising flight attendant on a private Boeing 727 belonging to the CEO of a South American subsidy of a large US corporation. The CEO was really into wine – he would send my friend on the plane to Paris to load on first growth Bordeaux’s and Burgundies – you get the idea. 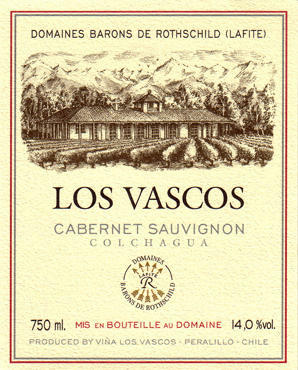 At the time, the Los Vascos (from Chile) was retailing for about $7. My friend gave her boss a glass on a flight and he really liked it (probably a good thing for her career). He then began to serve it on his plane to his high-roller friends and did not tell them what it was. Pretty much everyone took it for a premium wine. So what is this wine? Well, it is a large production wine from the Chateau Lafite Rothchild vineyards in Chile. There are a couple of reserve versions of the wine that come in at higher prices – from about $20 up to $65. Today, the basic Los Vascos Cabernet retails for $14 but can usually be had for $10 to $12 or less from a variety of retailers. The website recommends decanting for about an hour before drinking this wine, although I have never done this. You will find notes of ripe fruit, good structure, and hints of a variety of mineral notes – which most of us experience differently. This is a great wine with roasted and grilled meats. All three of these wines are what I like in an everyday wine. A few others that I imbibe fairly regularly are Bogle Old Vine Zinfandel ($9 to $12); Norton Reserve Malbec, Mendoza, Argentina ($14 to $20); Luigi Pira Dolcetto d’Alba, Piedmont, Italy ($12 to $18); plus many more. You have probably noted that most of the wines listed here are imported. For some reason, producers around the globe seem to be able to get well-crafted wines made and shipped to the US at everyday wine prices. It’s a paradox. There are lots of decent wines in this price range – ask your wine retailer to guide you to those undiscovered gems in the shop – everyplace has some of these wines. As always, once you find what you like, begin to branch out and explore wines like those.